Paola Egonu piled up a tournament scoring record 45 points (39 kills, 5 aces and a block) and Italy bested China in kills and aces in a five-set win to earn its first World Championships finals berth since 2002. China coach Lang Ping has been waiting until crunch time to put her young dynamic hitter Li Yingying into matches, even though it’s clear their outcomes improve with her on the court. Zhu Ting led the way as China rallied for a 5-set win over the United States to open Final Six play at the World Championships leaving the Americans in a must-win situation on Monday against the Netherlands. The star of the show thus far in the World Championships has been Italy’s Paola Egonu. The 19-year old has notched 182 total points (150 kills, 17 blocks, 15 aces) and also ranks among the top 10 in aces and kills. Zhu Ting is an outside hitter from China. She wars number five on her jersey and is the captain of the Chinese national volleyball team. Ting debuted on the national team in 2013 and has been a key player ever since. Team China took silver at World Championships in 2014 after losing the final to the United States 3-1. A year later, China won the World Cup as well as the Asian Championships. Team China was the favorite going into the 2016 Olympic Games in Rio and they did not disappoint. After a rocky start, China fought their way to the final against Serbia. They defeated Serbia 3-1 and took home the gold. Ting was named the Best Outside Spiker and the MVP of the tournament. Ting has played most of her career in China before moving to Turkey in 2016. She started at Guangdong Evergrande and helped the team get third at the 2013 Club World Championships. She then moved to Henen Huawei where she played for three seasons. Her last two seasons have been with VakıfBank Istanbul. 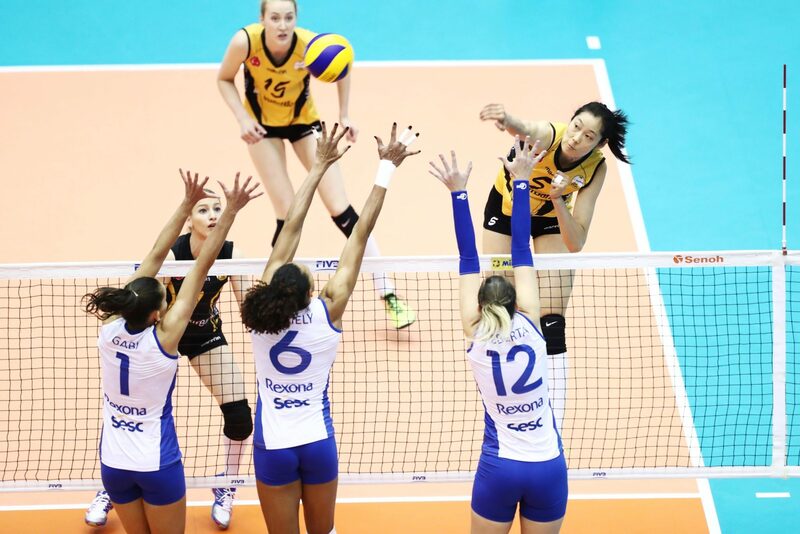 The team has had great success as they have won the CEV Champions League, Club World Championships and the Turkish Cup within the last two years. Ting was named the MVP at all of those tournaments.